Hueter Toledo-Odormute Fizz. Just drop a tablet in water for effervescent action. Safe and effective. Removes odor from kennels yards bedding even cat urine on carpet! 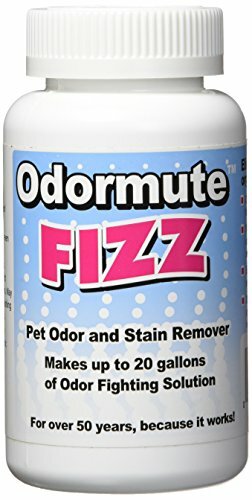 This package contains 20 tablets of Odormute Fizz pet odor and stain remover. Makes up to 20 gallons of odor fighting solution. Made in USA. View More In Odor & Stain Removers. If you have any questions about this product by Hueter Toledo, contact us by completing and submitting the form below. If you are looking for a specif part number, please include it with your message.